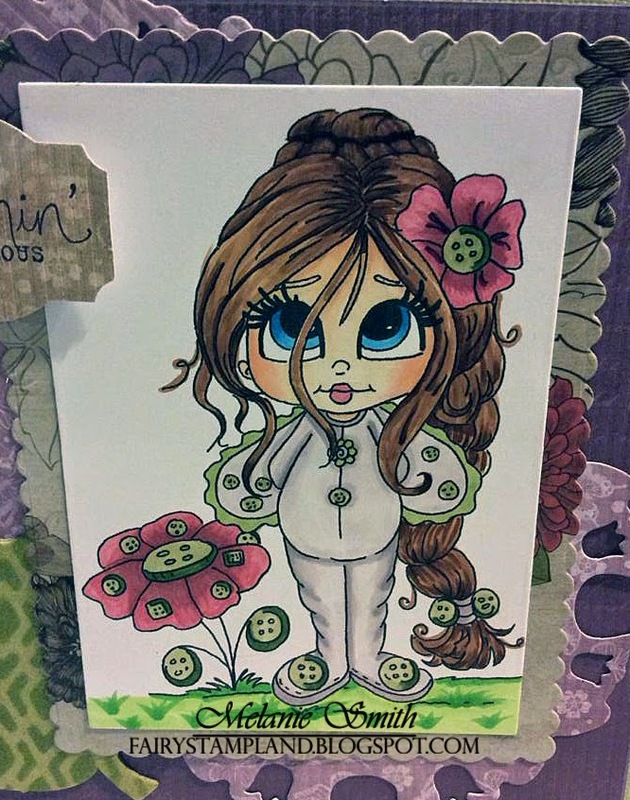 Today I bring you a beautiful image that I colored from Lacy Sunshine. 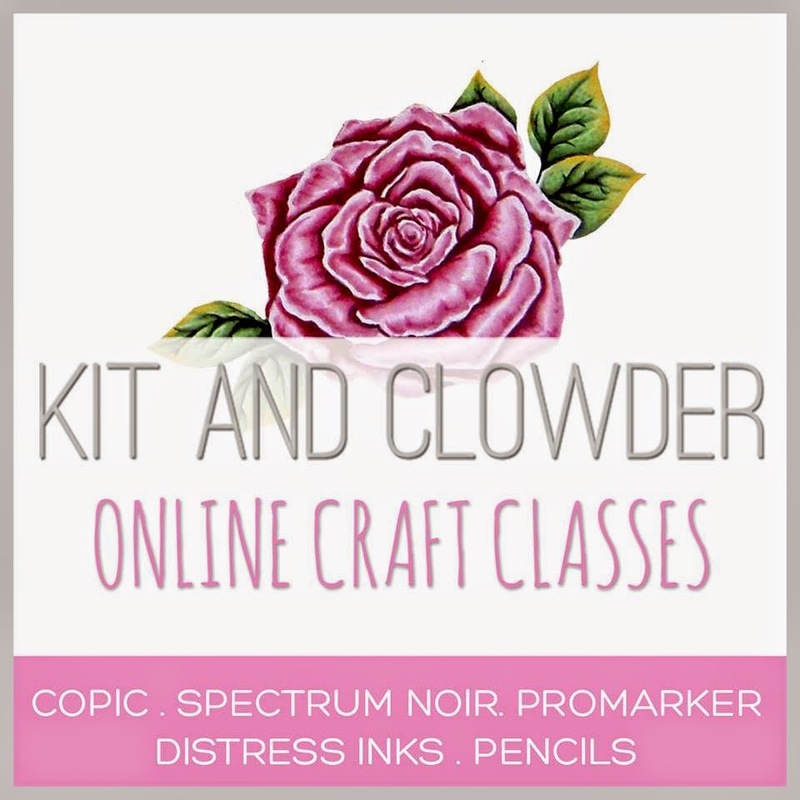 I was chosen to be their Guest Designer this week over on their challenge blog, and am so excited to work with these fun stamps for the very first time. 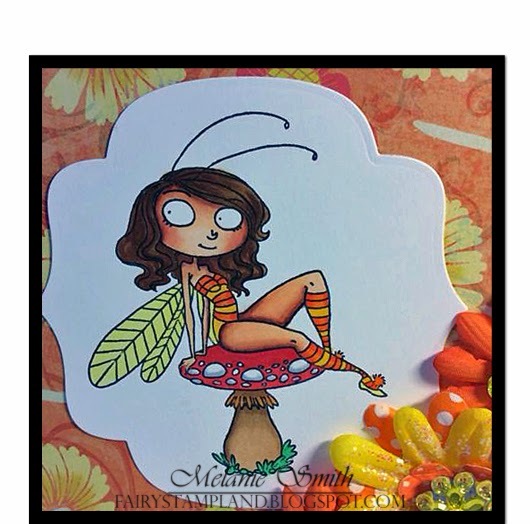 Check out all their amazing Digi's in the Lacy Sunshine Shop. As you can tell I had a lot of fun creating this card. It was "Bloomin Marvelous"! The green leaf is made from chipboard and is the very first thing I have ever stenciled. 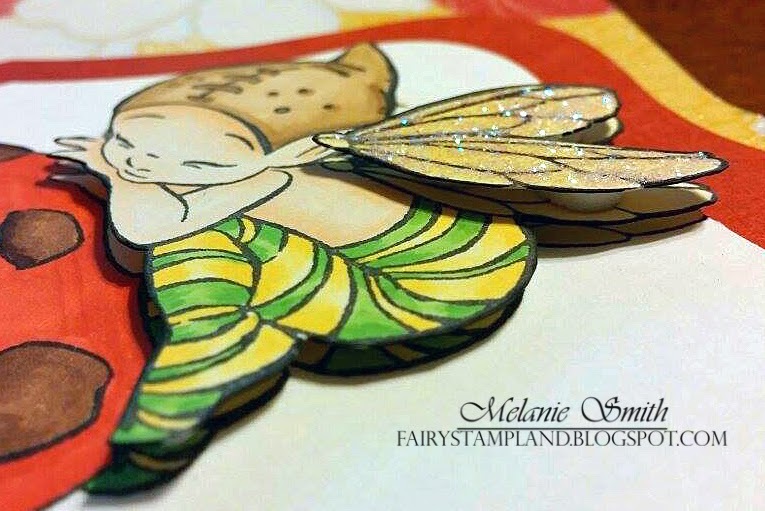 I used two colors of Tim Holtz distress ink pads along with the TH Blending tool to create the effect here. 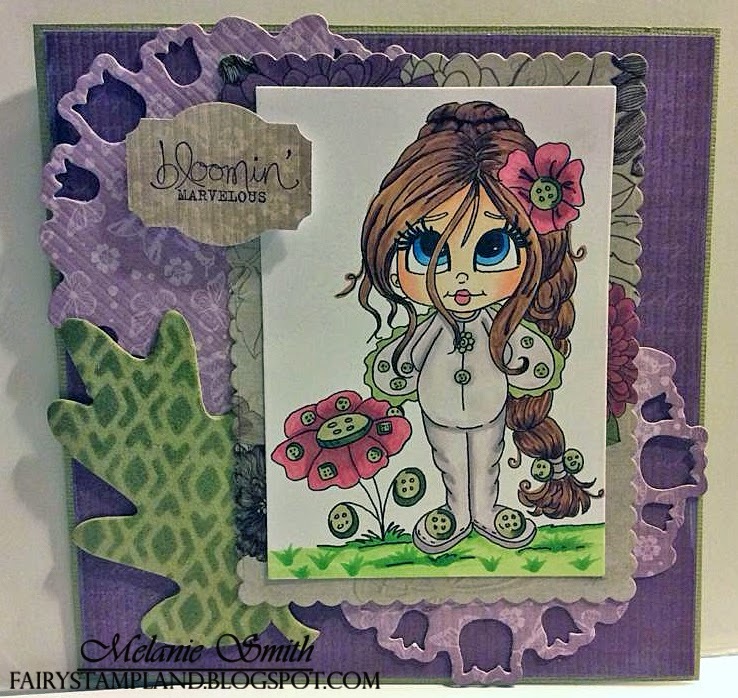 I also used various spellbinders dies along with Copic markers to color the image. 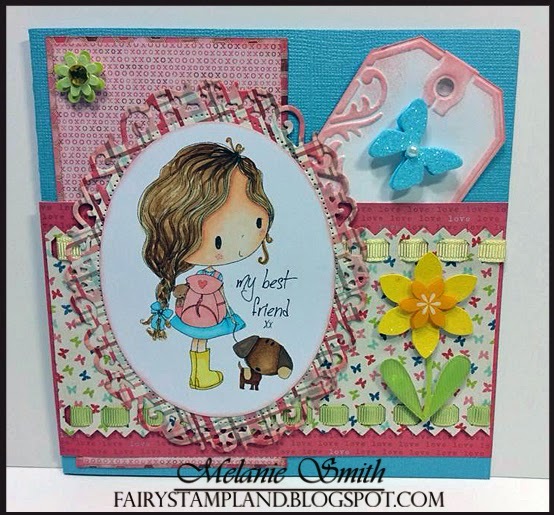 This card is being showcased on Lacy Sunshine's Challenge Blog which can be viewed HERE. Tonight I have a super fun project to share with all of you. I have been practicing more with the Hair and Skin Class over at Kit and Clowder and finally feel like I am getting somewhere. This is my first attempt using all the colors suggested by Alyce, my instructor. Using the darker skin tones has been a true challenge for me but I feel like I am beginning to see a difference. I hope you enjoy this project as much as I did creating it. This was a fun project and first of many..... This is the first time I created a card using dies to create an unusual shape. A first time inking basic white flowers creating perfectly matched flowers. And finally a first in layering multiple images for a 3-d effect. Close up of the layers in the Fairy. His body has 2 layers and his wings have 3. Of course Stickles helped complete his wings as well. 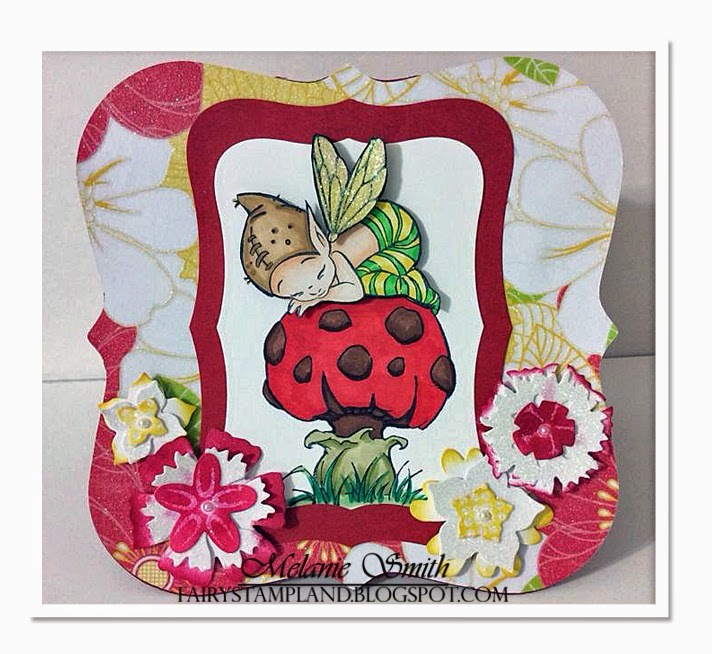 This Design Team card being displayed over at 'Through The Craft Room Door" Challenge Blog. 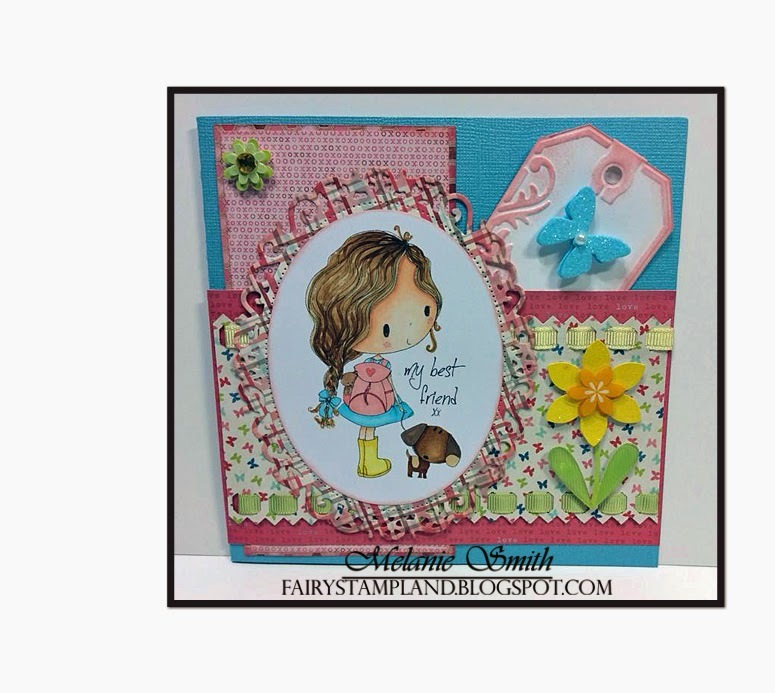 I am excited to share with you my very first Design Team card for "Through the Craft Room Door Challenge Blog" This week our sponsor is "All Dressed Up" This adorable 'Best Friends' stamp of theirs was a joy to color and the spring colors chosen were such fun to design around. 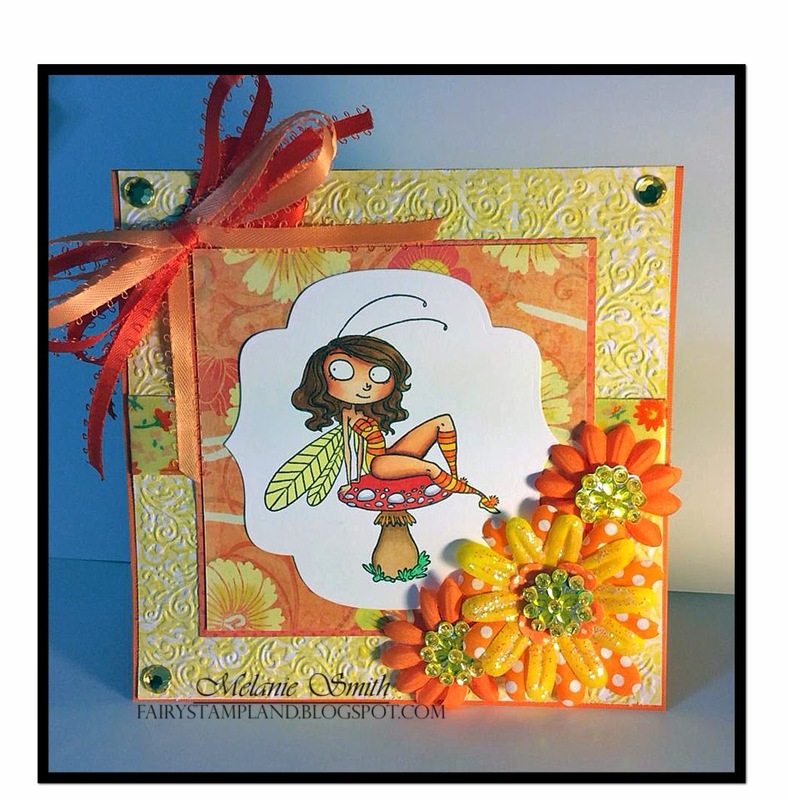 I hope you will head on over to TTCRD blog and participate in this week's "Anything Goes" challenge. ribbon and other embellishments from my stash. Order your "All Dressed Up" Stamps by clicking "HERE"